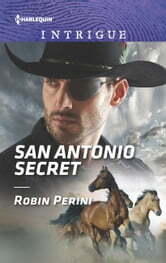 A San Antonio rodeo may hold the key to finding the truth behind two missing people! When Sierra Bradford's best friend and goddaughter are abducted, she vows to find them at any cost. Even if that means teaming up with former Green Beret Rafe Vargas, who's come to her aid…and not for the first time. But their powerful attraction is growing out of control!